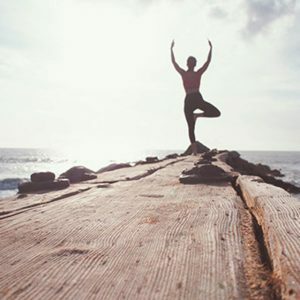 Whether you’re an office worker, athlete or both, morning yoga is a great way to start the day. Polar ambassador Flavia shares six reasons why. We all want to start our day with a big smile, not thinking about deadlines, traffic and other modern problems. But how can you achieve this state of mind? The answer could be yoga. Practicing first thing in the morning can have a positive effect on how your day is going. By allowing your body to stretch, your mind to be present and your lungs to inhale a big amount of oxygen, you help yourself be the person you want to be. Start your day with being conscious about your breathing and state of spirit. Breathe slowly, meditate and let your emotions guide you for a while so as to get to know your body. You’ll see that yoga is also about taking fewer breaths of a greater volume so your lungs will be happy first thing in the morning. Yoga teaches you to be present, to hear your breath, to listen to your body, to see how you feel in that moment. That is why, after practicing yoga for a while, you start to be more self-conscious, you improve your coordination and you can focus more on tasks because you already know how to manage all your emotions and to listen to all your needs. Every morning we wake up and realize the amount of things we have to do. We start stressing ourselves about work, family, different situations we have to deal with and so on. Why not start the day with 10 minutes of “me” time when you can focus on your well-being? Take your mind off the busy schedule you have ahead of you and start taking care of yourself. During yoga, you transfer all the attention to your body and the way you breathe. So naturally, you can help temper anxiety and also release physical tension. 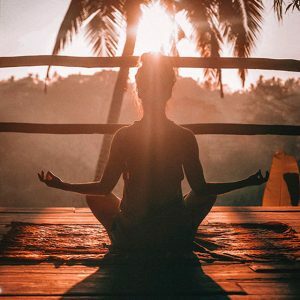 There is nothing more important than your health (mental, physical) and you can achieve this by waking up 10 minutes earlier to catch the sunrise and begin your flow. Now this is a common misconception about yoga. Beginners will always point out the fact that only flexible people can practice yoga. In fact, yoga is for everyone. You might not be able to touch your toes on your first try, but don’t panic and keep practicing. One day you’ll be able to overcome what seemed impossible at first glance. Those difficult poses you saw on social media will be part of your daily flow. Maybe you don’t intend to be that flexible, but keep in mind that we’re now talking about the health of our muscles and by stretching them on a daily basis, we can prevent many injuries and improve our performance as well. As hard as it may seem at first, yoga means balance. Not only in regards to breathing, but also in postures. Different poses use different muscles in your body that helps your physical balance and increases your stability and coordination. This can help you by reducing the risk of injury in other sports as well. Also, even if you have an 8h desk job or you’re on the move the whole day, 10 minutes of yoga in the morning could help you achieve a better posture and a less stressful day. Our way of living is against good posture. Sitting on a chair for long periods at work, traveling by car or public transport and then collapsing in front of the TV at night are the main causes for back pain. Poor posture is the result of musculoskeletal distortion in the neck and in the lower and upper back. This incorrect form is different from one individual to another. Take care of your back by including certain poses to your daily flow. Despite the hectic schedule you may have ahead of you, wake up earlier, roll your mat and be grateful for what you have. Breathe deeply, let your heart smile and do a 10 minute flow. Serotonin levels will rise and you’ll feel much better in just a couple of minutes. Studies have shown that long-term yoga practice creates biochemical changes that support mental and physical health. 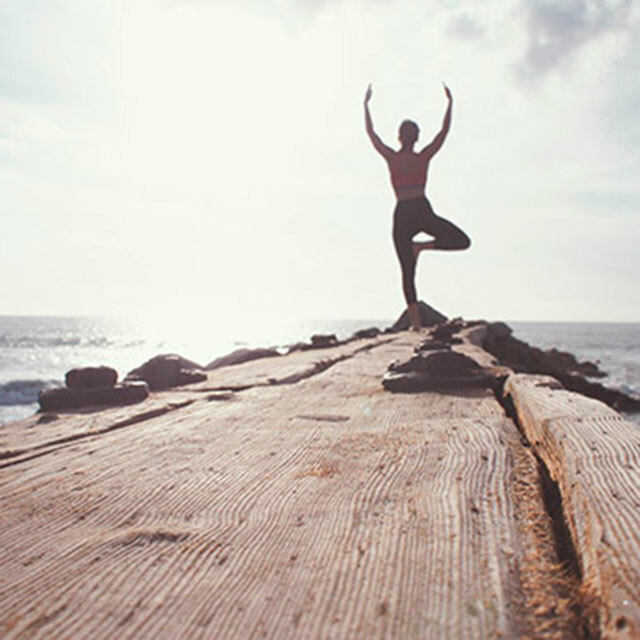 People who incorporate yoga in their daily routine seem to be happier and there’s also an increase in their self-esteem levels. So start your days with yoga and share a smile. Namaste!